An in-depth interview with Tim League, founder and CEO of Alamo Drafthouse Cinema, a true pioneer in the American exhibition industry. Very disarming and insightful. How did the dining experience while watching a movie come about? There was a theater in Portland [Ore.]that did beer and food service in the theater, and we really liked it. … So, yeah we completely blatantly ripped it off from another theater. Why do you think the cinema eatery concept has been so popular? Traditional movie concessions work for a certain group—sometimes you want a Coke and a popcorn. But our audience is a little older just by the nature of what we do, and so it’s a great date experience where you can compress eating and going to a movie into two hours and minimize the babysitting time. How did you start the whole concept of making themed nights in which the food reflects the movie? Italy – RealD has signed a deal with Italian exhibitor The Space Cinema to increase the latter’s 3D screens by 40%. Mexico – The Financial Times looks at premium cinema as part of its luxury conference, interviewing the CEO of Cinepolis (video). USA (CO) – Alamo Drafthouse isn’t the only high-end cine-dining operation. Interesting to see multiplexes being converted. The Regal Colony Square Stadium 12 movie theater in Louisville closed this weekend in advance of a planned conversion into Cinebarre Boulder, a cinema-eatery that combines a first-run theater with a full bar and restaurant, officials confirmed Monday. The Louisville cinema, 1164 W. Dillon Road, would be the eighth U.S. location and second in Colorado for Cinebarre LLC, which was founded in 2007 as a joint venture between entrepreneur Terrell Braly and Regal Entertainment Group. Russia – Imax has signed a three-screen deal with Russia’s Formula Kino. After China, Russia is emerging as Imax’s second most important market outside North America. 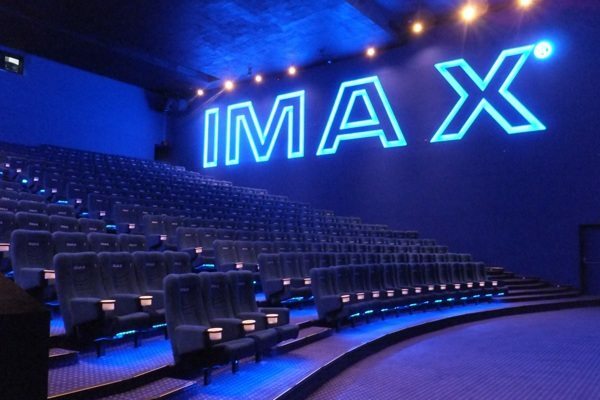 Under the terms of the agreement IMAX theatres will be installed in Moscow and Novokuznetsk, with IMAX’s next-generation laser digital projection technology to be added to a new complex in Moscow expected to open in 2015, marking IMAX’s first laser system deal in the country. 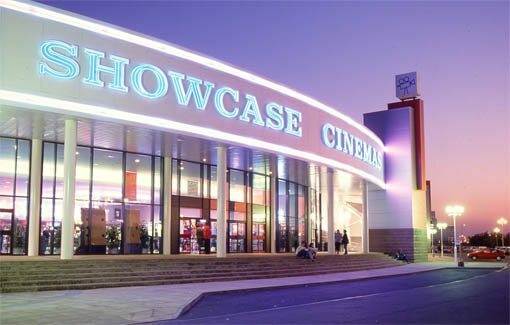 UK – Showcase cinemas is introducing its XPlus screen format, which will include Dolby Atmos, as part of expansion of its premium offering, Showcase Cinema de Lux. Showcase Cinema is to invest £5m over the next 18 months, introducing XPlus screens across its UK estate. The large scale screens feature technologically advanced digital projection, screen and audio in order to provide cinema-goers with the ultimate immersive experience available. 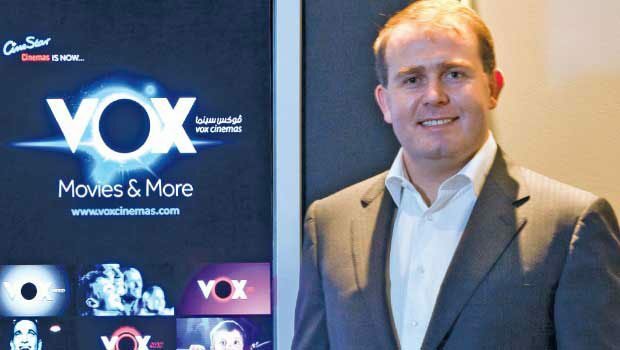 Oman – Vox Cinemas is launching its own Vox Max PLF screen, rather than going with Imax. No word on whether it uses Atmos or Auro. Oman’s largest 10-screen and 7-screen VOX Cinemas, owned by Majid Al Futtaim Ventures, are to open at the Muscat City Centre and the Qurum City Centre soon. To mark this, Vox Cinemas is organising an official press launch at VOX Cinemas, City Centre Muscat on June 2, 2014 where senior officials from Majid Al Futtaim – Cinemas and Majid Al Futtaim – Properties will officially open it. USA – Summer isn’t just time for superhero blockbusters but also for opera repeats. Beginning Wednesday, June 18, the Metropolitan Opera and Fathom Events will once again present Summer HD Encores, a series of choice encore performances from the groundbreaking Live in HD series of cinema presentations, in more than 400 U.S. cinemas nationwide through Fathom’s Digital Broadcast Network. This summer’s Encore series offers repeats of four popular Live in HD events, including Verdi’s “Rigoletto” (June 18), Puccini’s “La Rondine” (June 25), Verdi’s “Otello” (July 9), and the Baroque pastiche “The Enchanted Island” (July 16). 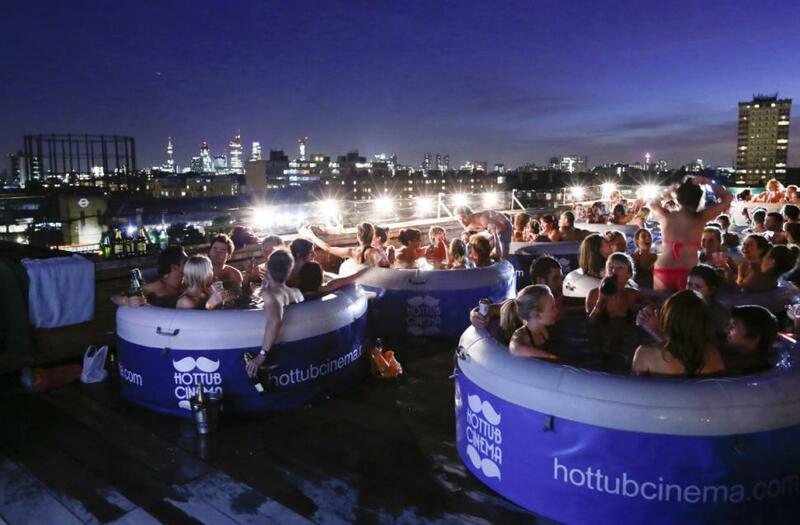 USA (NY) – It looks like Hot Tub Cinema is as much of a big hit in Brooklyn as it was in London. It’s not the first time New Yorkers have taken an offbeat plunge — including cooling off in floating barges and recycled Dumpsters — but this new pool party makes the mind reel. 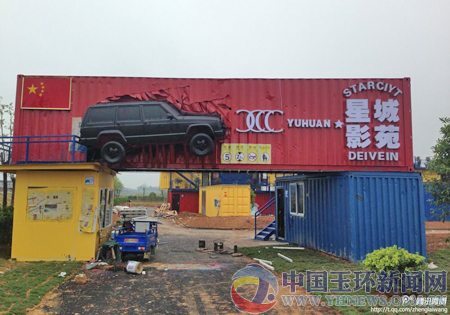 China – Another drive-in cinema announced in China. Interesting to see them grow there (and in UK), just as they are disappearing in the US. Taizhou Economic Development Zone and Yuhuan theater are redoubling their efforts to build Xuanmen near Bay Bridge, which is expecting a mid-to-late-May opening. By then, the general public can sit in their own private car, while eating snacks, drinks, and watching movies, enjoy the casual, stylish living. 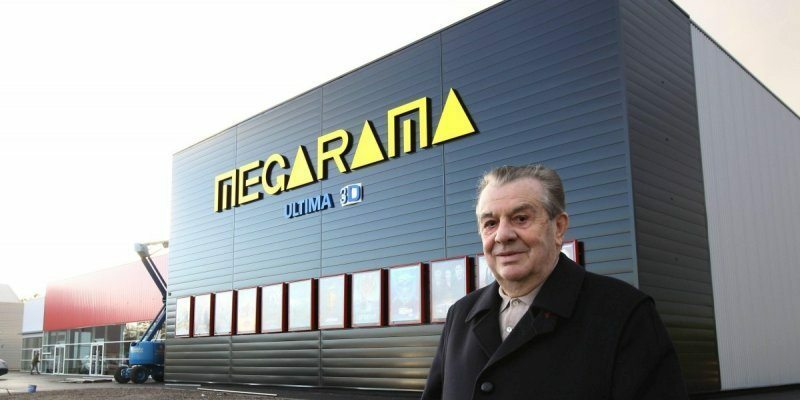 France – The project manager of a theater Garat, near Angoulême, has received the support of a new investor, Jean-Pierre Lemoine, CEO Mégarama group, for the opening of a new multiplex in Angoulême. UK – A cafe hopes to the the setting for a new cinema in Wallington, Surrey, to replace the local Odeon that closed. There is an Indiegogo campaign underway. 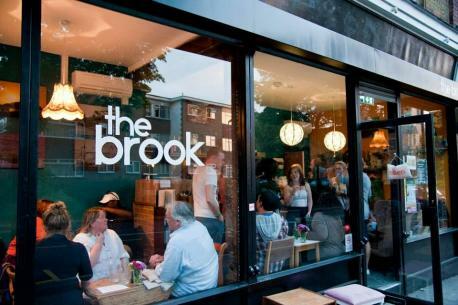 The movie theatre will be based at The Brook cafe and bar and is expected to seat around 25 people. They will host daytime sessions for children as well as screening the work of local film-makers. 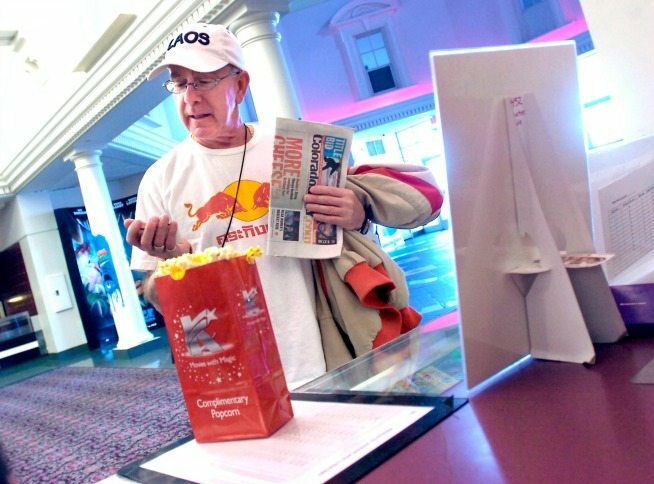 USA (CT) – The 12-screen multiplex in Southington, CT, is set for a re-vamp following a sale to Starplex. The 12-screen movie theater at 1821 Meriden-Waterbury Turnpike was sold last week to Starplex Cinemas, a Dallas-based chain that wants to improve the theater and divide the remaining land into two separate pad sites, according to town and company representatives. “The new movie owner wanted to retain a movie theater and are preparing changes to enhance the viewer experience,” said Louis Perillo III, the town’s economic development director. USA (PA) – The Digiplex Cinema Center in downtown Williamsport will be getting more film choices following the opening of additional screens. Construction is almost complete. Two new screens have been added at the Digiplex Cinema Center on West 4th Street in Williamsport and two others were renovated. Now, it’s almost show time. The four screens will all be open by the weekend, bringing the total number to 11. UK – Some cinema conversion make you want to weep. And not out of joy. 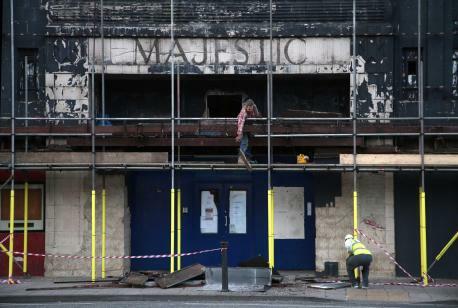 The Majestic, an iconic 1930s building in Darlington will reopen this summer following an extensive refurbishment and restoration. After much speculation, plans for the future of the former art deco cinema have now been unveiled. How to review a film without actually giving away what the film is? That’s the dilemma of this reviewer of Secret Cinema 21. 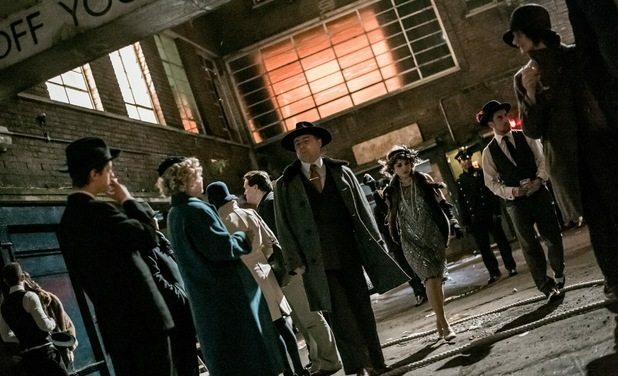 As it was set in the 1920s, this meant that we got to dress up in awesome suits, hats and dresses, which instantly makes everyone look cool and sophisticated, and I found myself lamenting that I usually wear jeans and boring T-shirts. It was also fun to see others wearing similar outfits on the bus as we neared the venue, as it made it all seem rather in-the-know, like we were about to take a secret journey in a time machine.